Very comfortable. Great for approach. I really like this shoe. I usually wear an 8 and settled on a 39 which I think is a little bigger than a 7.5. I wear these shoes everywhere. I have a collapsed left arch and prominent navicular bones. This means my navicular often hangs over the edge of the sole of most shoes and it can get quite uncomfortable if there is any sort of arch in the shoe. These have no arch support and so work great for me. The toe box is roomy enough for my otherwise average width forefoot. The heel cup might be one of the best things on this shoe though. 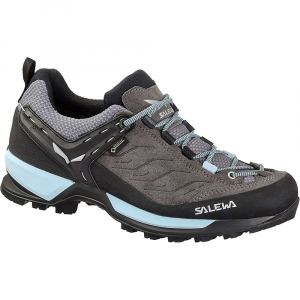 It's almost like having a climbing shoe on when you go uphill, there is no slippage and it even feels like actually cups around your heel to hold it there. No break-in time needed. Just slip them on and go. I did take them up to the Wind Rivers too very shortly after I got them for a backpacking trip. I could have wished for something with a little more support for my ankles, but that is just me. I know many people carry pretty heavy loads without big boots. 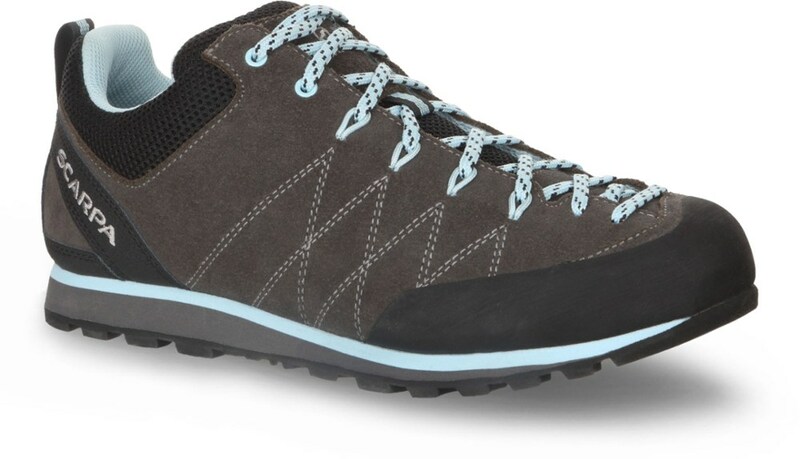 I have funky feet though and rarely go backpacking and with climbing gear to boot. So I'm not used to that heavy of a load for that many miles. My main concern with the shoe is that the sole will not last as long as I'd like it to. Because my feet are so hard to fit I hate shoe shopping and hope for my shoes to last several years. The sole on this shoe between the rubber outsole and shoe bed is a firmish foam like material. I can already see some compression of it. I wonder if I'll be able to make it make than a year. Also because the actually shoe sole is a softer rubber for extra stickiness I don't see it lasting for several years either. 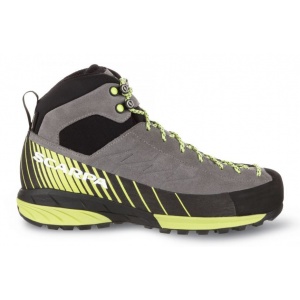 Great overall approach shoe. They do the job. 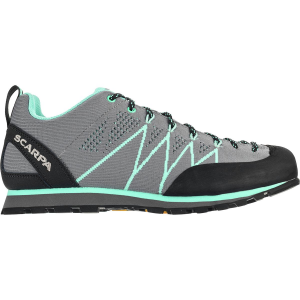 Good for scrambling up rock, hiking and around town. I would highly recommend these shoes. 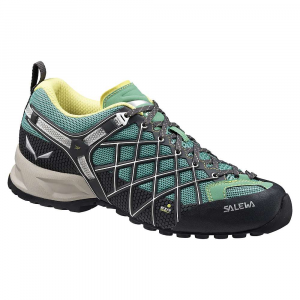 I got back into climbing again after 15 years and was looking for a comfortable approach shoe. I was running marathons and so I'm always looking for light and roomy. My feet are pretty beat up over time. I love these shoes. 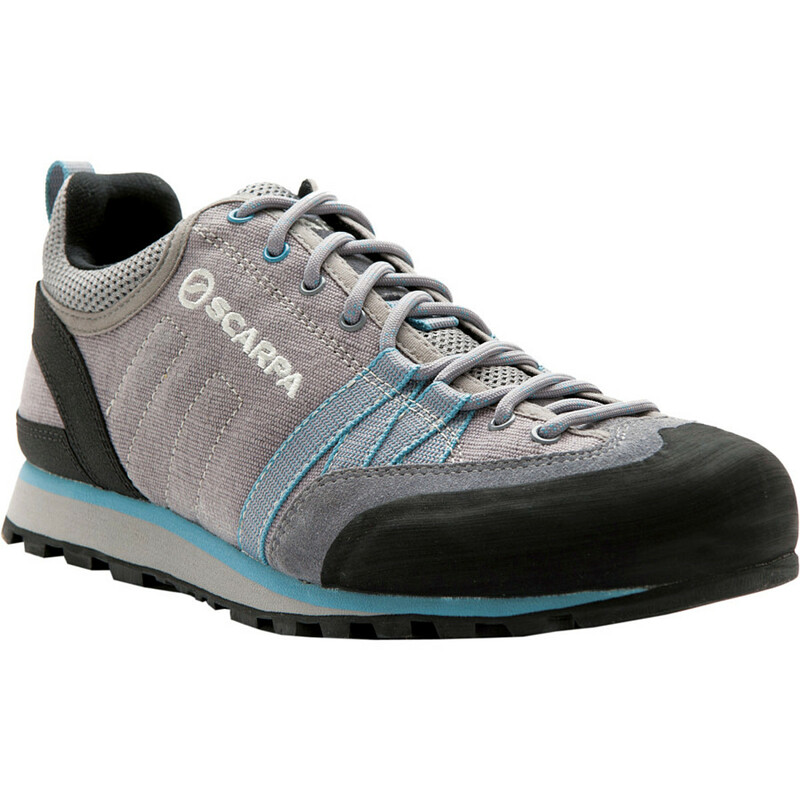 They are light, comfortable, easy to scramble up rock, or just hiking and they look great for around town. 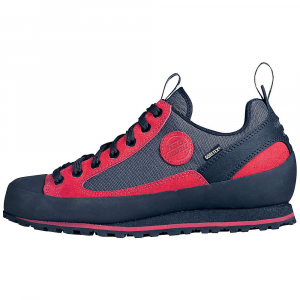 They fit true to size and have enough cushion not to feel the ground while carrying a pack.